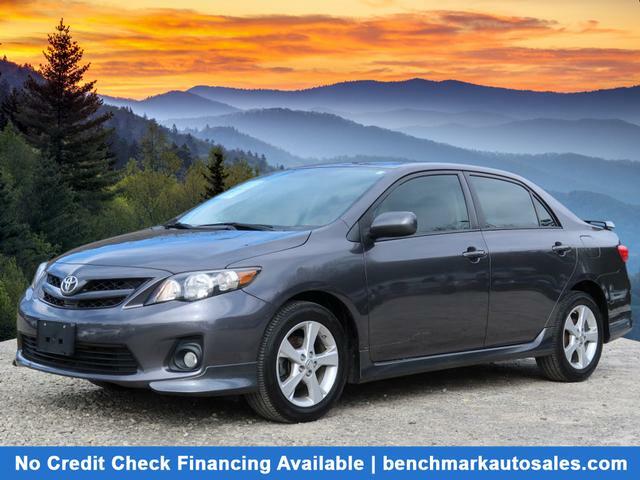 I would like to learn more about this 2013 Toyota Corolla S. Please contact me as soon as possible! Simply put, it is our mission to make the process of getting a new car the simplest, quickest and easiest possible. We know we cannot compete with the big franchised dealers in terms of facilities or advertising budget so we focus on beating them on price, process, quality of vehicle and service after the sale. Whether you are interested in our in-house financing options or want to take advantage of the local or national outside lenders we have access to for financing, we are able to meet your needs and actually make getting a new car enjoyable again! We are a straightforward, no-nonsense and no pressure dealer where you can get answers to your questions in a laid back environment and be treated with respect. Additionally, we will not sell a car 'AS-IS' to our customers. Think about that for a minute. If we cannot stand behind the car with a warranty, we won't sell it. We could not do this if we did not uphold the strictest of standards for what we will put on our lot. Refusing to sell cars 'As-Is' means something, and we think it says a lot about who we are. Come see what makes us different and better today!!! Our vehicles listed for in-house financing will have a down payment listed next to them under our inventory tab. If there is no down payment listed, the vehicle is only available for outside financing or cash sale. Our approvals for in-house financing are based on 20% of your net income and we do not ever check your credit. Our entire philosophy is based on the fact that financing a car should be simple. For additional details, please see the 'Am I Approved' tab above or call today and speak with a representative.